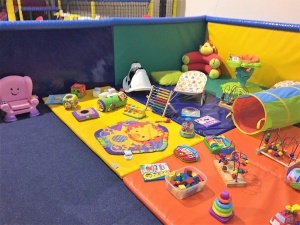 Aimed at babies under one, they have a separate soft play area of their very own. 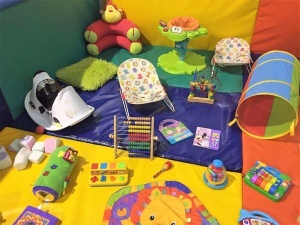 Babies can enjoy playing with a selection of toys that will stimulate their senses. 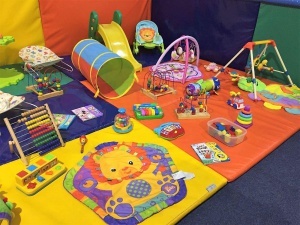 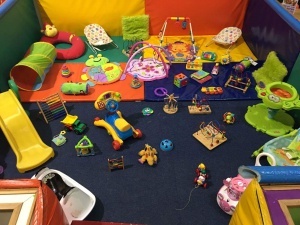 Our baby area comprises of musical toys, play gyms, play mats, soft balls, soft blocks and bouncer chairs.